If you block cell phone radiation are you protecting your body? Our answer has to be, it depends! Individual products like Aulterra and Aegis spray products do an excellent job handling the localized EMF radiation that comes from carrying or speaking on your cell phone. However, EMF radiation comes from many more sources than just your cell phone. WiFi allows the signal to get to your phone and the phone protection products are not stopping the WiFi radiation in the atmosphere from affecting your body! What’s the difference between cell phone protection and protecting your body? This entry was posted in Cell Phones, EMF Dangers, Energy Protection, WIFI & Your Health on December 12, 2018 by Virginia. WHAT ARE SMART METERS? ARE THERE HEALTH RISKS? Utility companies are replacing electric, gas and water analog meters with Smart Meters. They are part of a Smart Grid, which is a wireless network that will be used in homes, offices and our environment. Smart Meters are being installed across most of the United States. The World Health Organization has classified RF (Radio Frequency), used in wireless communication, as a 2B carcinogen, the same as lead and DDT! Military studies have shown than pulsed radiation can produce health issues such as memory loss, tinnitus and seizures. 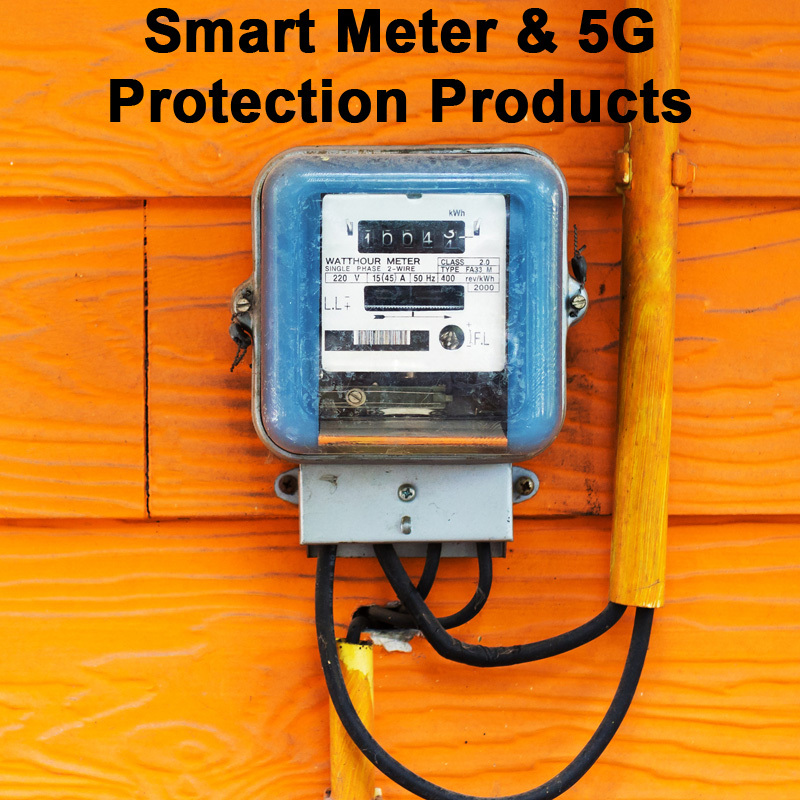 This entry was posted in ES - Electrosensitivity, Smartmeter / 5G, WIFI & Your Health on October 29, 2018 by Virginia. What do Foxes and Electromagnetic Hypersensitivity Have in Common? Imagine acres of frozen white, and suddenly a fox diving headlong into a blanket of snow. Hidden under the 3 feet of snow, a field mouse snuggles warm and cozy, safe and protected. Unless the fox is diving using the magnetic compass that all animals use for navigation. It turns out that the red fox is most successful in hunting when using the earth’s magnetic field. Researchers recorded 592 jumps, and found that when the fox used the North-South axis, jumping from the north, they were successful in 3 out6 of 4 jumps! When they pointed in any other direction, they came up with no mouse in their mouth more than 80% of the time. This entry was posted in EMF Dangers, ES - Electrosensitivity, WIFI & Your Health and tagged 5g, electromagnetic fields, Electromagnetic Hypersensitivity, electrosensitivity, EMF and animals magnetic sense, emf sensitive, EMf sensitivity, radiation, WiFi on October 18, 2018 by Virginia. Constant exposure to WiFi radiation and the ever-increasing electromagnetic fields shown to unleash retroviruses and is a contributing factor in MANY neurological conditions – Lyme, ADD, Autism, Leaky Gut, Chronic Fatigue – and more…. This entry was posted in Cell Phones, EMF Dangers, ES - Electrosensitivity, WIFI & Your Health and tagged add/adhd, ALS, autism, autism and electromagnetic radiation, cancer, CFS, chronic fatigue, cistus tea, electromagnetic radiation and Lyme disease, emf, environmental toxins, fibromyalgia, healthy gut, herpes, immune system, leaky gut syndrome, leukemia, lyme and electromagnetic radiation, mediterranean rock rose, microbiomes, MS, Multiple Sclerosis, neurological disease, Parkinson's, retrovirus, WiFi, wifi radiation on August 29, 2018 by Virginia. Are you living with Anxiety Depression Sleeplessness Exhaustion or Brain fog? What’s going on? What do Anxiety, Depression, Sleeplessness, Exhaustion, Brain fog have in Common? If you are battling any or even all of the above issues, you’re not alone. It seems that everyone I talk to these days is complaining about most of these issues. In fact, the actual statistics are alarming. Fatigue & exhaustion – various reports put that number between 20-75% of people. That’s last is a pretty startling number. I also found it worrisome that the statistics given vary so greatly. This entry was posted in Anxiety / Clarity / Stress, EMF Dangers, WIFI & Your Health and tagged anxiety, anxiety triggers, appliances, cell phone, chronic sleep issues, depression, exhaustion, fatigue, fear, negativity, nutrition, overwoek, smart meter, stress, stress management, tablet, technology, WiFi on July 20, 2018 by [email protected]. Worrisome Health & Safety Issues in your car from WiFi Emergency Services & Phones & Music ! Do you have an Emergency Button or Handsfree phone service in your car? Do you get tired when you are driving? It may not just be the long hours on the road or the hypnotizing effect of driving, it may be that you have a WiFi hotspot in your car. If you have purchased a car anytime in the last few years, it probably comes with some version of emergency assistance if you push an emergency button. Take a look and see if it’s in your car (it’s using on the mirror or dash). If so you have a smart car. It’s also a smart car if you can answer your phone or connect to music using hands-free Bluetooth technology. What this means is that you have you have a WiFi hotspot in your car. Wonderful, or is it? This entry was posted in EMF Dangers, WIFI & Your Health and tagged BlueTooth, cell phone, cell tower, driving, electromagnetic radiation, emf, handsfree phone, hybrids, onstar, smart car, travel, WiFi on July 6, 2018 by Virginia.